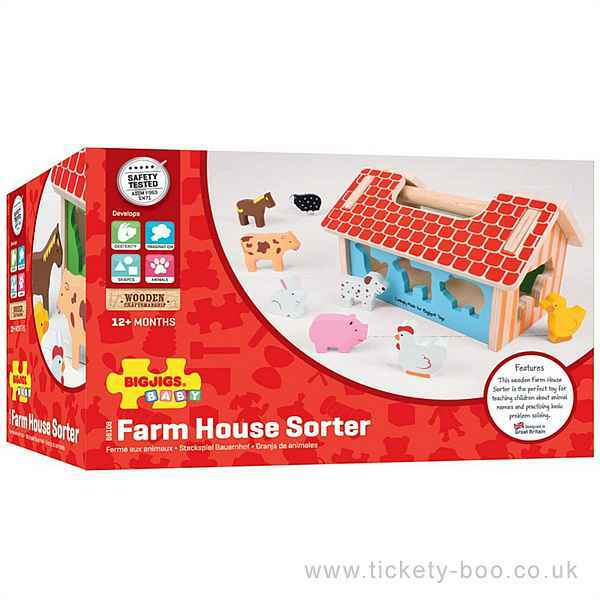 Discover all the fun of the farm with this brightly coloured wooden Farm House Sorter. 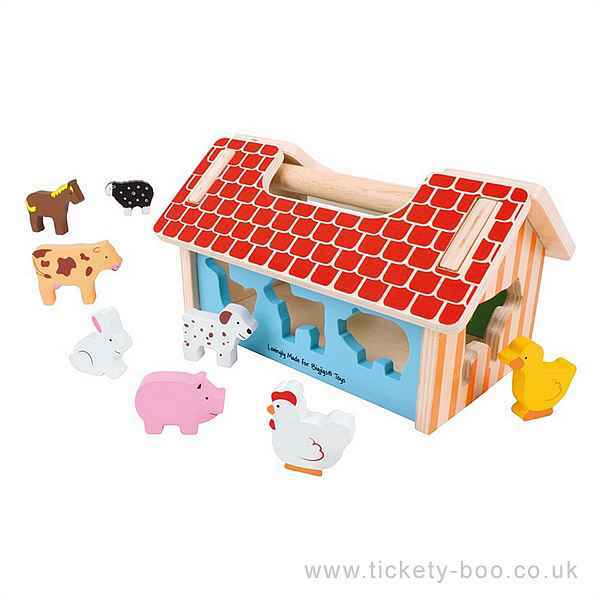 Little ones will enjoy matching each animal to its uniquely shaped slot on the wall of the farm house. 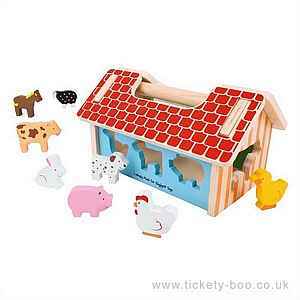 When all the animals are safely inside, the roof can be removed and the animals lifted or poured out for one more game! The wooden carry handle makes this a great travel toy. Helps to develop dexterity and language-building skills. Consists of 11 play pieces.